Konstantin Ushinsky lived in the 1800s in the Russian Empire. He was an educator and writer. 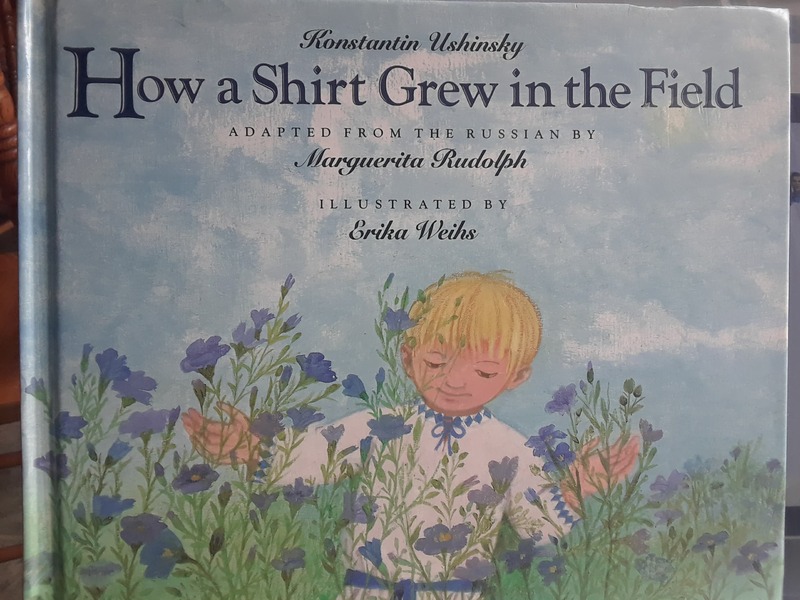 A friend we met at a church sent me this neat little book, How a Shirt Grew in the Field. It’s an interesting book that shows in simple steps how flax is grown and “processed” by hand to become a shirt. It’s told from the perspective of a little boy watching his dad, mom, and sisters work on this project. If you’d like to hear and see the storybook in Russian, you can play this brief video for your kids, too. In the Russian, the main character is a little girl. The video shows the illustrations, and it has nice background music.